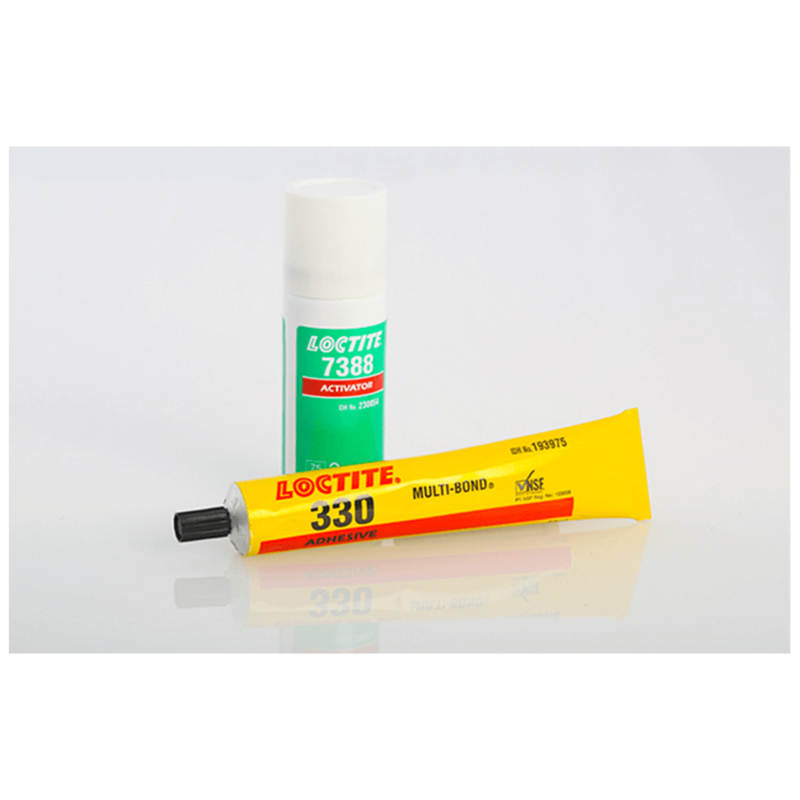 Loctite 330 is a general purpose adhesive that is used to bond metal, wood, ferrite, ceramic and plastic materials. Applications include tool handles, appliances, sporting goods and decorative trim. The rate of cure will depend on the substrate used. The graph shown in the data sheet below shows the shear strength developed with time on grit blasted steel lap shears and tested according to ISO 4587. (Activator 7387 applied to one surface). The rate of cure will depend on the bondline gap. The graph shown in the data sheet shows the shear strength developed with time on grit blasted steel lap shears at different controlled gaps and tested according to ISO 4587. (Activator 7387 applied to one surface).